8-9 August 2017. Universitas Padjadjaran (Jatinangor campus). Free of charge. 13 powder-related companies (including 5 CEOs) from Japan introduce their developed/patented technologies. 1st, 2nd, 3rd Forum in Jakarta, Surabaya, …. > 2012, 2013, 2015. The following pictures were taken from Univ. 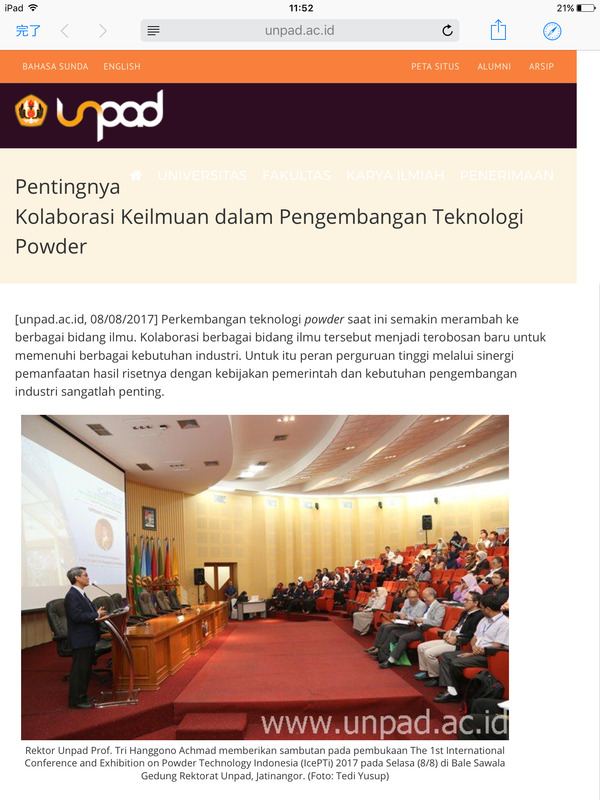 Padjadjaran website on the starting day, where the president of the university officially opened the event.